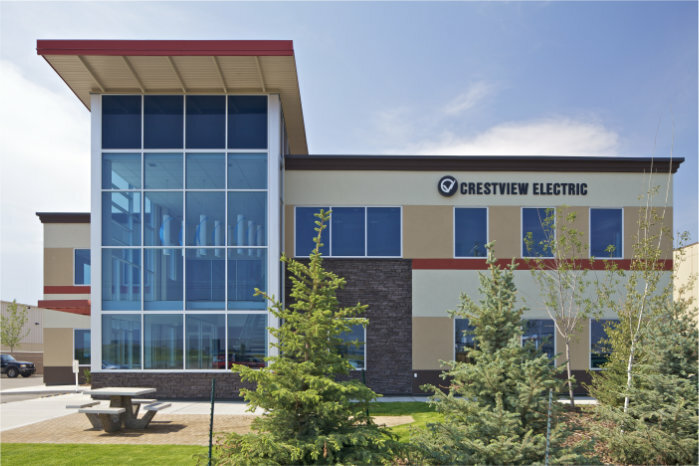 Crestview Electric relies on the experience of our estimators and project managers to assist our customers with projects of any size. Our team has been responsible for jobs of all sizes, from service contracts to multi-million dollar installations. We pride ourselves on our ability to stay on time and on budget no matter the size of the job. Tim Engel & Partner start a 2-man electrical outfit in a makeshift office in Tim's basement. Only work vehicle burns to the ground along with all their tools after being side-swiped. Opens office in a small bay in Foothills Industrial Park. Tim's son, Ryan, joins the company. Addition of 3rd Bay to office. Tim buys out his retiring partner, making him the sole owner. Addition of 4th Bay to office. Crestview is quickly outgrowing its bays and needs to either acquire a 5th Bay or move. Plans are set; construction of new Crestview building in the works. Hiring of key employees to do our own telecommunications. Crestview moves in to their present day two-storey contemporary design-built building in Eastlake Industrial. First 20 year employee celebrates their anniversary. Crestview celebrates 25 years in business. Ryan Engel steps into his father’s shoes to run the company. New direction, new thinking, new growth. "Continuity, Vision, Experience... A Proud Legacy" is coined. Key employees are hired to begin the Solar Division. 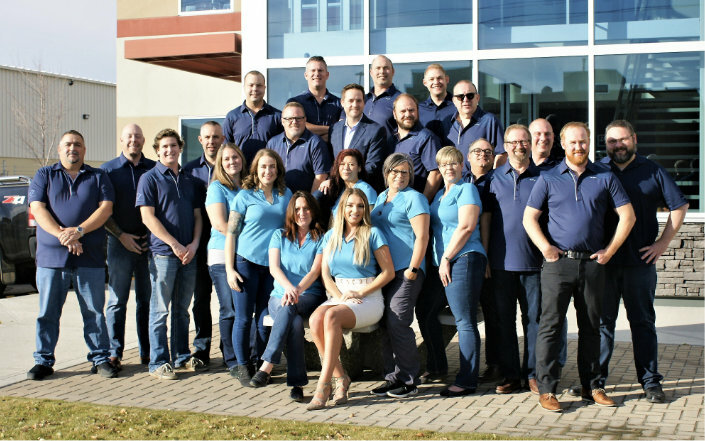 Crestview Group is formed with 3 divisions: Crestview Electric, CVE Solar and Crestview Building Technologies. Employee count is 200 strong. Let us assist you with your electrical needs. Our customers rely on us for large and small electrical projects, troubleshooting, power surges, service calls and maintenance contracts. © 2018 Crestview Electric Ltd.